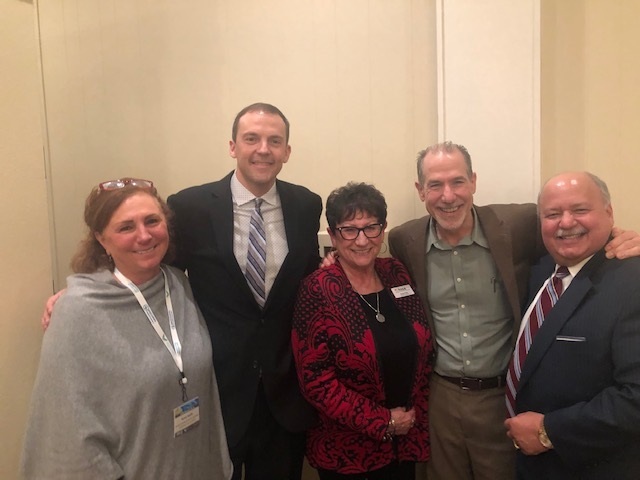 Here with Rep. Marcus Riccelli (D-3, Spokane) is the HSSA team who visited Olympia last week: Nancy Isserlis, Board Chair, Susan Ashe, Executive Director, and Board Members David Vachon, Ph.D and Dr. Francisco Velazquez. In Olympia last week, Senators Jeff Holy (R-6) and Andy Billig (D-3) introduced Senate bill 5596 to extend the life of HSSA to 2038. The Health Sciences and Services Authority is otherwise scheduled to sunset at the end of 2022. On the House side of the legislature, Representatives Mike Volz (R-6) and Marcus Riccilli (D-3) introduced the companion bill HB 1717. Other local signees to the House bill were Rep. Timm Ormsby (D-3) and Jenny Graham, (R-6). Our sincere thanks to the legislators from both the Senate and House and from both sides of the aisle. The Senate Ways and Means Committee will hear testimony on SB 5596 at a hearing Thursday, Jan. 31st, in Olympia. Created in 2007 and operational in 2009, the HSSA invests in health and life sciences research and infrastructure in Spokane County. Fifteen (15) percent of its annual revenue assists local organizations to increase access to health care. HSSA has invested by way of grants some $8 million in these two main focus areas, and has experienced a significant return on investment over $100 million and created at least 500 jobs, more than meeting its mission. HSSA is receiving tremendous community support from the Mayor and County Commissioners, WSU Spokane, UW, Greater Spokane Incorporated, the University District, MultiCare Health, and many, many more. Our thanks to those who have expressed or will express their support.